As all our Miles for Mali walkers start their journey to raise funds for a new school in Mali this month, I thought this would be a good time to share a story from students in Mali about their own daily journey to class. 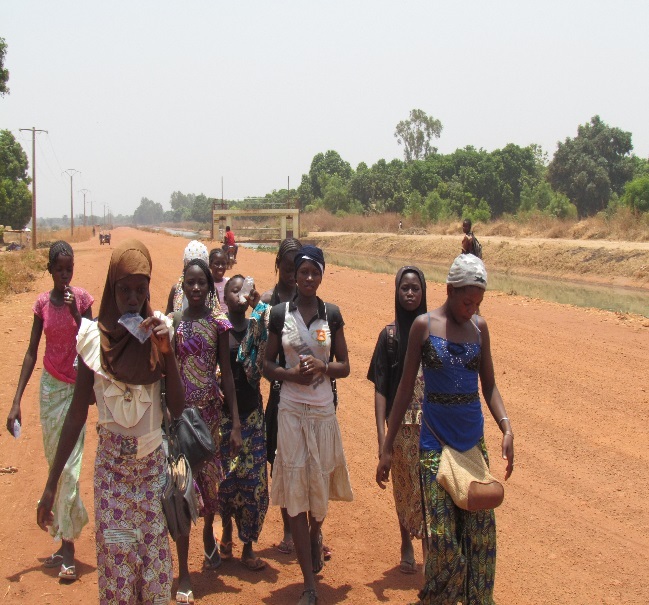 Recently, our staff in Mali passed a group of girls on their way to school. They stopped to ask the girls about their trip. The girls were in the midst of their daily 8 kilometer (5 mile) one-way walk to school, chaperoned by a female teacher trainee. Many girls actually complete this trip four times a day, heading home over the lunch break for a snack and chores. 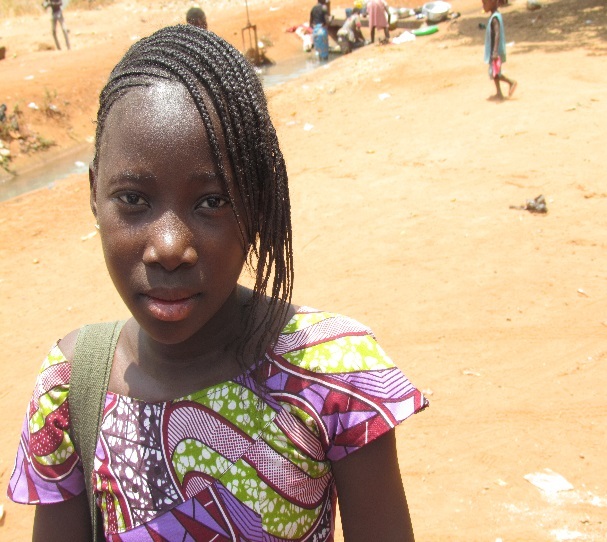 Our staff interviewed 14-year-old Fatoumata about the journey. Fatoumata walks 10 to 20 miles a day for the honor of an education. Long trips to school often lead to school dropout. Especially in the case of girls, parents may force girls to dropout over concerns for safety on the long trip. “We go to school in a group….we usually form groups of sisters or friends to go to school together. 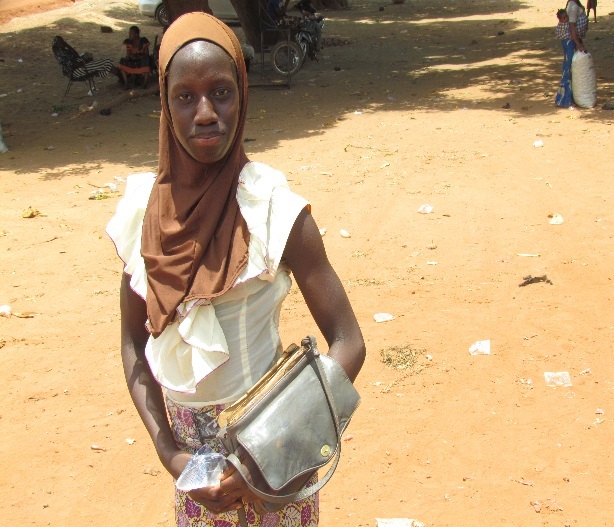 Those who are lucky enough to have a bike go to school on their bikes,” said Fatoumata. After another long walk home, students help their parents work in the field or in the garden. At night, they squeeze in a few hours to study before going to bed. Then they get up and do it all over again, hitting the road at 6 am. All in all, these girls are covering 10 to 20 miles a day for the honor of receiving an education. I’m in awe of their determination, and hope you are too. A teacher trainee chaperone makes the long trip safer. Seventh grader Djeneba on the road. Traveling in a group to school. Mariam is in the 8th grade. Fatoumata's friend Oumou half way to school. Confident Tete on her way to school.